Now it is official--at 53,237 words Time Light is a NaNo winner. The basic story is nearly done and should be finished by the end of this week. There will be a process of editing and fleshing out certain portions and then I'll be ready to take the next steps. I guess I'd better research my options. I'm open to suggestions. Today in honor of my win, I'm going to do my NaNo twist to Teaser Tuesdays, which is a weekly bookish meme, hosted by MizB of Should Be Reading. I'll be offering a longer teaser than the meme calls for, but it's my party and I'll contrive if I want to. On the NaNo site there is a portion under my profile that tells about my novel . One part of this section has a space to include an excerpt of the novel, which I am including in my post today. However, before getting to the excerpt let me give you an idea of what has happened so far. John Proffitt has been out of work for about a year. He has exhausted his resources and lost his car and his home. To complicate matters, John has no precise memory of anything about his life. His wife is on the verge of giving up on the marriage and leaving her husband. When the story opens, John and his wife have been living in an old empty apartment building for a few weeks. From the very first night, John has been wakened by shaking and sounds in his building and a light beam which shoots into space from the abandoned building across the street from where he lives. While his wife is at work, he begins investigating these mysterious events and eventually becomes convinced that the abandoned building is a staging area for an impending alien invasion. In the following excerpt, after John has met Edward, a man in his neighborhood, who takes interest in the story and joins John in his investigations, the two of them finally find a way into the abandoned building through a tunnel leading from the apartment building. They climbed the stairway. At the top, John very slowly cracked the door open. There was dim light from the sunlight filtering through the shuttered windows. His eyes scoured the surrounding area as he opened the door ever wider. Soon he was completely inside the first floor. He turned off his flashlight since he could see without it here. In the dim light he could see that there were a few closed darkened offices, but most of this floor was a wide open room. He could clearly see the metal wheels at each corner of the room. They all appeared to be identical to the ones they had seen in the basement. Their careful steps seemed to intrude upon a spectral stillness which hung over this place. Continuing on, they ascended the stairway to the next floor. Reaching the top of the stairs they were both awestruck by what they saw. The room was cavernous. The height extended to the roof of the building. Instead of the silver wheels they had seen in the other parts of the building, here there were towering pillars made of the same metal. The base of the pillars was like the wheels, but the cylinders that rose from them went to the ceiling. What appeared to be a retractable dome was in the center of the ceiling. Sunlight filtered through the boarded windows, but there was another more indefinite light that subtly filled the space amidst the four pillars. Something that looked like illuminated dust particles moved slowly in suspension in the center space of the vast room. When Edward seemed to start heading toward the center of the room John held his arm out to block his way. “We need to leave,” John felt an undefined sense of fear sweep over his entire body and a chill came over him. They turned away and departed with stealthy haste. John no longer felt a curiosity to look around any further. He only wanted to be gone. Edward acquiesced to John’s urgency, but tried to take in everything he could see as they made their escape. Once out of the apartment basement and in the lobby, John leaned against a wall and took slow even breaths. He realized that he was sweating and shaking from whatever he had experienced from what he had seen. So there's a little taste of Time Light. I hope it makes you curious to read more. Let me know if you have any thoughts about this excerpt or anything else in life. As of Sunday night November 28, 2010 I have passed the 50,000 word mark, but I have not officially registered as a "winner" yet. I will do this today (Monday). I've got a little further to go--a few more scenes to write--before the story is complete. Then I may have to flesh out the story to give it greater length and substance. However all in all I'm pretty pleased with my results. 1. A handful (hopefully not too many) of NaNo related posts that are mostly self-indulgent and probably of little interest to most readers who are not participating in NaNo. Hey! I'm not the only one that did this! 2. As I write this my e-mails are up to nearly 700. I did so well cleaning this all up a while back. Now I see in part how this accumulation came into being last year. Thanks NaNo! Oh well, now with my new system and some focused email decluttering I should have this remedied by the end of the week. 3. I'm way behind in keeping up with a lot of blogs. Let's face it--with all of the blogs that I try to follow I was behind before I even started NaNo. If I haven't visited yours in a while please give me an electronic slap on the back of the head and tell me to come over to see you. Sorry! And NaNo didn't help this situation at all. 4. Reading--I'm behind on my reading. I've got some good books waiting to be read. And what have I been doing? Writing--okay that's not too bad, but I'd still like to read some. 5. Neglecting my personal life-- Finally, I can take a shower after one month---Just kidding! Seriously though, I've got some mail to go through and other personal things that need to be done. I've been paying my bills on time, but I think there are some other things that I need to do. I think, but I don't remember. Who am I? Where am I? Why are all of these agents and publishers calling me about my new novel, Time Light? Okay maybe not the last part yet, but the rest is true. Anyway, that's my post for today--felt obligated to hack out something. What has NaNo given you? What have you been neglecting? What's your favorite movie? Did you eat all of your Thanksgiving leftovers? Have you ever carried moonbeams home in a jar? Are you afraid of clowns? Do you like it when someone asks you a bunch of random questions? I had said I was going to acknowledge some awards today. I'm going to postpone this until next Saturday. Between the Thanksgiving hubbub and NaNo, I have fallen behind with my blogging responsibilities. I think I will be here on Monday with a post. Hope to see you then. Over the past couple of days I've seen many lists of things that people are thankful for--okay I'm good with those. Just go and check out any of those and you've got some the things that would be on my list as well. No need to be repetitious. And besides I'm focusing on Turkey Day and NaNo. I'm doing most of the cooking for the big dinner. We'll have about twenty or so guests coming over. It's become the tradition that I fix the dinner. I get some help with the mashed potatoes and sometimes with chopping onions and celery. But it's essentially my version of the dinner my mother passed down to me. Since I can't be in Tennessee to enjoy my mother's dinner, I have to fix my own. Here's the menu: Besides the turkey we're having a Honey Baked Ham and another ham we bought from Costco. We'll have two kinds of dressing--one with fruit and sausage and another with oysters (this is mostly mine since hardly anyone else will try it and that's okay with me). There'll be the much beloved by all sweet potato casserole topped with marshmallows. Mashed potatoes, of course, and this year I just got canned turkey gravy (for some reason hardly anyone here eats gravy so I'm not going to make it myself--lazy me). Dinner rolls. I also have an array of vegetables which includes peas with pearl onions, yellow corn, pickled beets, cranberry sauce, and that good old-fashioned green bean casserole topped with those canned onion ring things. Later on we'll break out a fruit salad that my brother-in-law will be picking up from the Mexican bionicos place, which to my surprise is open on Thanksgiving. We ordered it yesterday, but wanted to get it after it's been freshly made. There'll also be ice cream available for later, but, alas, I didn't get any pumpkin pie. But we will have egg nog spiked with brandy and also a toast of champagne to celebrate one of our daughters's recent attainment of her PhD. It will be quite the feast that will be possibly be repeated on Friday for my wife and I if there are any leftovers. I love Thanksgiving! I wish each of you a very festive feast day. And be careful of those sales on Friday if you're going shopping! How About Some Airport Chaos? Last Tuesday we discussed the issues of airport security and the general inclination was that though some security at the airport is indeed something that must be done, the current state of things at the airport has gotten out of hand. Most all of us agree that although profiling is somewhat distasteful, there is no denying the most terrorism these days comes from a certain type of person who practices a certain type of religion. Facts are facts, and though a few of us may start trying to dig through certain anomalies of the past, the real fact remains that our most recent threats regarding flying are related to the group already alluded to in the previous paragraph. So what has the government decided to do? Inconvenience every single one of us by presuming us all guilty until the TSA can assume that we are innocent after a thorough screening. And now, tomorrow, Wednesday November 24, 2010, has been designated as Opt-Out Day by an internet site. Travelers are being rallied to participate in this event which involves opting out of going through the airport body scanners and instead submitting to the body pat down. They say that they are not intending to slow down the security lines, but why else would they do it. According to the organizer, this event is intended to educate the public about the new TSA screening process. But let's face it, if many people did participate in Opt-Out Day, it could have a massive effect on the busiest airport travel day of the year. I really don't think that many people will participate. After all, most people just want to get where they're going and have a great Turkey Day with their families. But with all the publicity this stuff has been getting of late, who knows. Personally, I wouldn't do it either if I were flying, and I'm glad I'm not flying. And I don't have any family flying either so I don't really care about the security lines at the airport. My perverse sense of enjoying the chaotic nonsense that is surrounding all of this would kind of like to see huge back-ups in the security lines because of the opt-outs. And perhaps it would encourage change in the security screening process. From what I've been hearing it sounds like changes are coming anyway. And we've been hearing plenty. This TSA stuff has been all over the radio talk shows, TV news, internet, and print media--and now it's getting a bit tiresome. So what do you think about National Opt-Out Day? Are you going to opt out? Do you hope a lot of people do participate and create airport havoc? Are you ready for some serious profiling, no fly lists, and prescreening of fliers? Anyone who is participating in NaNo undoubtedly is well underway in their project and knows what they are writing about. It may have been a rough start for some, but somehow a fire got lit and now they're going like a house ablaze--at least one would hope. However others just never got started, perhaps with that age old complaint of not being able to find their muse. I've always found the term of "finding my muse" to be a bit silly. Perhaps because of its origins in ancient Greece where the muses were essentially goddesses who delivered inspirations for ideas to those in the creative arts. I suppose it's a bit poetic, but in practical terms it's utter nonsense. Any writer who sits around waiting for special delivery of an inspiring idea to come via a muse needs to cruise to another profession in my opinion. Writing should come from within you so it does require some effort on your part. Now, I'm not going to get into any scientific or philosophical theories about where inspiration comes from--books have been written about this topic and I'm just going to do a short blog post. These are just my thoughts. I want to tell you how I find inspiration to come up with topics to write about, then maybe you can tell us how you get inspired with writing ideas. I will be using my current NaNo project, Time Light, as my example. The Genre: Before you come up with a story it helps to know what general genre you plan to approach. In my case I decided beforehand that I was going to write a science fiction novel. Since my favorite sub-genre is time and interdimensional travel I decided to concentrate on something related to that. This sense of focus allowed me to start visualizing mental pictures and scenarios related to these concepts. I like old buildings. I decided that I wanted my story to revolve around a setting of an old building. Once all of these elements were in place I let my imagination run with them. The Spark: My usual modus operandi in coming up with an idea, or at least setting my course, has been to draw upon news stories, anecdotes someone has told me, something I've observed, or a quote. For my two NaNo submissions I have used Bible quotes to get the story started. In the case of Time Light, I used a verse that I heard in the sermon at the church I attend the day before I was to begin my project. That quote came from John 1:1-18 and most specifically the verse that says, "He himself was not the light; he came only as a witness to the light". The "he" in this verse is John the Baptist--my main character became John Proffitt, who witnesses the light coming out of an old building. The light that he sees is what I decided to call the "Time Light". I now had a main character and a title. The story began to flow freely from there. The Kindling: Just as any fire needs kindling in order to get started, a story needs to have details thrown in to get it going. For Time Light I started with my setting. The way my vision was shaping I wanted a city. I had lived in the Chicago area in the mid sixties so I decided to use this as the time and place for the story. I studied the Illinois and Chicago maps in my road atlas and started researching mid-sixties Chicago on the internet. From there I just started making connections and drawing up additional ideas from what I was reading. The Chicago of 1965 was starting to take shape in my mind and on the page. The daily activities of my main character and the people he meets started to flow easily. The Fire: Once the kindling has been set ablaze with the spark, the fire has to be fed and be kept under control. As I have been writing Time Light, I have seen how this story can go in many directions. It could be the start of a series of novels. Right now my focus has been on John Proffitt in 1965 Chicago having witnessed a light from an old building and his mission to find out what it means and do something about it. I am staying centered on this story, with an awareness that other stories could follow. I have to be sure I don't get sidetracked and allow my story's fire to get out of control. Since I like to write with music, I like to choose something that will help fuel the fire and keep me in a proper writing mood. My preference is classical music because I find it to be less distracting and it's almost like a movie soundtrack at times. While writing Time Light I have been going through the cycle of the nine symphonies of Anton Bruckner. This music is intense and majestic, yet unobtrusive. I will listen to one symphony several times throughout the writing day and continue on with the next symphony the following day. Music varies with us all, and classical works best for me. I have not done a formal outline for my story. The general idea has been in my head from the beginning. At the outset I wrote the opening and the closing of the novel so I would have a pretty good idea of where I was going with the story. Then I began writing chronologically in order to maintain control of the story. The more that wrote, the faster the story began coming so that I've had to list the main points of the novel within the body of the document. As I come to each point I expand that part of the story. In essence, the story is done, I just have to finish writing the rest of it. I believe my story's fire is under control. A Final Thought: Lest anyone have a misconception about Time Light, it is not a Christian novel in the sense of the type of book that would be classified as Christian literature. It has been inspired by a verse out of the Bible but other than that a reader who was not aware of my explanation would probably not relate the novel to the Bible. However, because of the author's beliefs the story espouses Christian values. And so far I've kept the language clean. So this is the way I'm doing things. How about you--what works and what doesn't? Do you try any of the methods I use or do you have a different approach? Are there any Bruckner fans out there? Also I wanted to acknowledge some awards that were passed to me this week. I apologize for not being able to take the time to pass them on, but I am in big appreciation to all who read my blog and especially to those who comment. This Wholesome Blogger Award was bestowed upon me by Yvonne at Welcome to My World of Poetry. 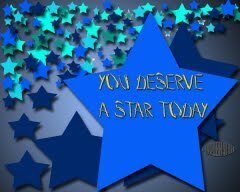 The "You Deserve a Star Today" Award with my thanks to Ellen aka Ella at Ella's Edge . Old shoes have always been in my closet. I don't know what it is about me and my old shoes. Frugality I guess. It's the old "you never know when I might need them" syndrome. I wasn't raised in poverty and I don't remember my parents necessarily encouraging it so I don't know where I got this habit. But I tend to hang on to old shoes until they look rather unbecoming. I will slip them on to go out to pick up the mail or take out the trash. I might even wear a pair of old shoes to run an errand like going to the post office or the bank. After all, no one needs to be looking at my shoes when I'm doing those things. There is not just one pair of old shoes in my closet. There are new and old versions of dress shoes, casual shoes, sport shoes, and even bedroom slippers. It has nothing to do with comfort either. Sometimes the old shoes aren't really comfortable. It's more to do with functionality. Old shoes are good if it's raining really hard and the water is up to my ankles. I don't feel bad about ruining old shoes. Or what if I'm forced to walk through someplace that's really nasty like a vast expanse of mud? I've walked across muddy fields before and come home with Frankenstein boots made of mud. Those are the times when there's no point in cleaning your shoes--you just throw them away. Better to throw away old shoes than new shoes. Sometimes I've had dreams where I go somewhere and look at my feet and I'm wearing an old pair of shoes. I go through the dream worrying that someone will see them. Once, something similar to this actually happened to me. I was in high school. My father was about to drop me off at school when I looked at my feet and noticed I had put on one new shoe and one old shoe. I guess in the dim morning light I hadn't noticed since the styles were the same and they didn't feel any different. My father wasn't about to take me back home to change them and I was forced to suffer the day with the mismatched pair on my feet. Nobody noticed. But in high school I don't think that many people really noticed me anyway. What is it about me and old shoes, or for that matter, old clothes, old books, old this, and old that? When I think about it I guess I have a lot of things that are kind of old. I wonder if when you start accumulating a lot of things that are old it means you are old. If I got rid of all the old stuff and just had new stuff I'd still be the same age. I'd better just hang on to the old shoes for now. They're predicting rain this week end. I might have to walk through some mud. Then I can toss out the old shoes. Has Airport Security Gone Too Far? In the weeks to come, many of us will take to the airways as we travel for the holidays. Since 9/11 we have seen an increasing amount of invasive and time devouring security tactics thrust upon us, making air travel a most unpleasant experience. Between TSA security and continual add-on pricing foisted upon us by the airlines, flying is something I try to avoid. Since I live on the west coast and much of my and my wife's family are scattered throughout the United States, we have usually taken our trips via whichever airline has the best Orbitz pricing for what we want to do. Not this year. This Christmas we are going to drive and forget about the hassles of flying. Sure it will take longer and it will mean hotel expenses, but I don't mind a road trip even with the risk of inclement winter weather. And it's easier to change my driving plans than it is to alter flight plans. I miss those more relaxed days of flying when everyone could go to the gate and you could see people off or meet them as they exited the plane. It was much more pleasant when you didn't have go to the airport two or more hours ahead of the flight in order to get through security. The most recent violation to our privacy has been the latest news fodder. Potentially dangerous x-ray screening equipment is the most recent addition to airport security. Those who are randomly selected to go through this machine are scanned while some perverted drooling TSA agent studies their naked bodies on a screen. It's supposedly anonymous, but as far as I'm concerned it's plain weird. They say it's all safe, but I don't know if I want to take a chance on finding out. Of course, one can opt out of this scanning procedure and instead choose the getting-to-know-you intimate feel-up by your friendly TSA agent. This might be fun under certain circumstances, but, please, not at the airport by some surly federal employee. Who might be getting out of this? An outcry is coming from Muslims complaining that this would be against their religion. Let's see---do I see a problem with this? We pretty well know who the typical terrorists have been in the past. Shouldn't there be more focus on certain more suspicious parties, and less on you and me and our families. There has got to be a better way of approaching security on airlines. The previous bad guys had for the most part already been spotted and under surveillance by our government before they ever got on a plane. Why were they able to fly so easily? I truly believe that most of the security issues arise before anyone even gets to the airport. Somebody in law enforcement is not doing their job. Sure, some security measures need to be taken at the airport, but maybe not to the extreme level that they have come to. What do you think? Has airport security become too extreme? What do you think are the best solutions? Do you have a pretty good idea about who the terrorists are most likely to be these days? Are some profiling measures necessary? Have issues with airport security and the hassles of flying affected your travel habits? Will you be flying this holiday season? Seeing Stars: A Review of "CassaStaR"
Let me start with the negative part of this review. I'm not a big fan of outer space and star wars type stories. I don't think I've read anything like this since I was a kid, and I used to be a big scifi reader. I would eat up stuff like CassaStaR when I was a young lad. In college my predilections changed to a more of this world and of our era sort of story, although I've continued to enjoy good effects-driven space movies. I thought that I'd outgrown scifi, but Alex J. Cavanaugh has shown me that the genre is healthy and good reading for adults. Cavanaugh has taken a timeworn traditional format and dusted it off with a fresh new point of view. CassaStaR follows cocky star rookie Byron through his training to fulfill his dream of becoming a Cosbolt pilot. His superior, Bassa, recognizes both Byron's obvious and hidden talents, and becomes determined to turn him into the best he can be. Bassa has a real challenge ahead to tame Byron's ego and fear of intimacy. With the help of his mentor, Byron experiences growth and learns worthy values such as friendship, trust, forgiveness, and sacrifice. Aside from what I felt to be a tacked on and unnecessary prologue, the early chapters seem tedious and slow. They act as the typical character and story introductions. After a while I was becoming impatient for something to actually happen in the story. Then I realized that Cavanaugh has used this device to put us in the same mindset of the characters in the story. I, the reader, was right there in the midst of the training. I was feeling the same impatience to see action as the trainees were. This was a clever way of injecting the reader into the mind of Byron. Once the training is over, the main story begins and the reader is ready to fly. Here is where the real conflicts--inside Byron and on the battlefield--begin. The action is well paced and exciting. Often the battle scenes put me in mind of old World War Two aerial battle stories with dogfights. At other times I felt like I was inside of a space war video game, all flashing lights and effects. This action is well separated with the breathers that depict the men in the dining halls and getting to know one another. My favorite scene was the stopover at a spaceport where they encounter the wilder elements of their intergalactic society--the trade, the recreation, and exposure to other life forms. I hope to see more of this in future books of the series. Alex J. Cavanaugh took great care in writing this book. It reads well. I tried to stay on the alert for errors or bad writing, but there was nothing here to trip me up. The writing is concise and precise. There is a certain air of sterility to the style, but I was able to dismiss this readily due to the nature of the characters and their environment. The style held my attention and compelled me to keep reading. Also, there is virtually nothing to offend anyone except the person who becomes offended in the most bizarre ways and I'm not sure who that person would be. The language is polite, grammatically correct, and avoids obscenity. This last point is a big one with me. I am one who believes that good writing can convey emotions or whatever without the distraction of obscenity. This book would be fine for any young person. It could also be quite acceptable as classroom reading since it touches upon so many topics that can stimulate discussion. If you're considering this book as a gift for a young reader, you will be doing well to get it. Now for some silly stuff. After all this is me, Arlee Bird, and I can get pretty much out there sometimes. Maybe it's good or maybe it's not--you be the judge--but one of the things that starts happening when I read science fiction is that my willing suspension of disbelief gets taxed and I start wondering about this thing or that. Like what's the deal with water on the mother ship? This Byron guy takes more long showers than anyone I've ever seen. And if the other guys are even taking half the showers, that's a lot of water! I realize this space ship is huge, but they must have a water reservoir that's the size of a lake. And what about the water recycling facilities, and not only for water but for air? I understand they have this biosphere place, but I was just trying fathom it all as I was reading. Then there's the meat. The guys on this ship are really a bunch of carnivores. Do they raise meat producing animals on the space ship? A lot of guys are being fed on this ship: How do they maintain the food supply? I'm more used to thinking about Tang and food squeezed from tubes. Sorry, this is just me and science fiction. I'm a behind the scenes kind of guy. I want to know how things work. I like to hear about logistics and behind the scenes stuff. All the battles are exciting and all, but what about the meat? And do they have dessert? Sorry Alex, but that's the way I think sometimes. I look forward to the future installments of Alex J. Cavanaugh's saga of the Cassans. If the upcoming books are as well written as CassaStaR, then we are in for a treat. This is fun reading that puts across a positive message. 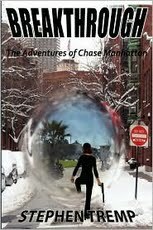 CassaStaR is a book that science fiction fans will really appreciate, but all fiction fans can enjoy. I'm right about where I need to be on the suggested word count, but not where I'd like to be. Actually I'd rather be at 50,000 words right now so I could just be ladling on the gravy. If I keep my pace, or kick it up like I'd like to, I will complete the 30 day goal of 50,000 words fairly easy--well, perhaps not easy, but it should be doable. Since I began my novel, Time Light, something has taken place which pleases me. I really like this story. At first, it was okay--just so-so for NaNo. Now it's my baby and I'm starting to fall in love with it. As I get to know my characters better, I grow fonder of them and am excited to see where they end up. The story is filling out and I'm excited by it. I can very easily see this as turning into a series of three or more novels, as I can see many more stories branching off from this one. John Proffitt is losing it. First he lost his job, then his house, and now his marriage is in jeopardy. Could he be losing his mind too? Increasingly obsessed with the suspicious activities in the abandoned building across the street from his apartment, he tries to unravel the mysteries of the sounds and lights that come from the building and the men he sees leaving each night. Are they visitors from another planet or something else? In his investigations he uncovers not only the identities of the strangers, but also the secrets within himself. The story starts in April of 1965 in the city of Chicago. John Proffitt is awakened in the middle of the night by a deep noise accompanied by a steady vibration. He investigates to find a brilliant beam of light emanating from an abandoned building across the street from the apartment where he and his wife are living. A short while later he sees people leaving the building he thought to be abandoned. He grows increasingly troubled as he begins to witness this same event on a nightly basis. He sets out to figure out what is going on. John discovers that he had been the head of a technological company when his memory loss came about. After he has to stop working, he and Della lose their house and are forced to move. Eventually, with the help of Della, his psychiatrist, and an associate from his company John begins piecing together his past. However, the peculiar events that he sees happening at night threaten his return to mental health. He must prove that what he is seeing is real and find out why these events are occurring. His investigations begin uncovering odd and disparate connections that he must make sense of in order to unravel the mysteries of the street of empty buildings where they live, the management company that owns these buildings, and the questionable operations of the company where he had worked. Having come to a realization that the abandoned building is being used as a port of entry for alien invaders he struggles to find people whom he can trust and who will believe his story. He risks his life to get the evidence he needs to convince the authorities so they can stop the invasion. But is it all really as it seems? In Time Light John Proffitt is confronted by the racial conflict of the mid-sixties river town of Cairo, Illinois; issues of love and trust in marriage; and secrecy and deception in the corporate world. Seeming to be living on the brink of insanity, he comes to the realization that escape is sometimes the best and only solution. So there you go--here is my current synopsis without giving away too much. This NaNo novel is truly seat of your pants writing. I've been starting to formulate future plot details in my head, but I'm not outlining. I'm just writing as I go. I did write my closing paragraph and I will probably write the closing scene soon. The rest of the story is being written just as though I were reading it from the beginning. We'll see how that goes. At least I'm having a good time. On Monday I will be reviewing Alex J. Cavanaugh's CassaStar. I hope you will check that out to see what I have to say. If you're doing NaNo how's it going so far? Whether or not you are doing Nano, do you have any comments or suggestions about either the blurb or the synopsis? I'd thought about reworking that blurb, but I'm too busy writing the real stuff. But I'm still open to suggestions. Thanks! Daniel Jackson --It seems ironic that the photos they offer the prisoners have the idyllic tropical backgrounds as though they were vacation pictures. Dan is calling out to those who will listen to him. I hope that it might be you and that you might send him a word of encouragement in his comments. Recently I was at a local mayor's prayer breakfast along with a couple hundred other attendees. At one point a speaker asked for a show of hands of all of the people who had served or were still serving in the military. I was surprised how few hands went up. The majority of those present were probably over fifty years of age. I recall when I was growing up in the 50s and 60s nearly every adult male seemed to be a veteran. The men in my father's generation nearly all had served in World War 2 and were proud of this service and honored for it. My father had been in the navy. I can recall seeing photos of him in his uniform and feeling so proud of him. The service of his generation and previous generations was respected. My generation had Viet Nam. We were avoiding service in every way that we could. Most of us made plans for attending college so we could get out of being sent to Nam. When the lottery came along the college deferment didn't mean as much. I was thrilled when my number came up as 276. They said a number that high was unlikely to be called. It was a different kind of war. Though I never did, many protested. The soldiers returning from the war were reviled by many and often shown disrespect. The feeling of honor in having served wasn't like it had been for the vets of the previous generations. These were the forgotten heroes. Some of them were guys I knew. Some suffered permanent consequences as a result of their participation in that war. Some didn't come back. Fortunately, the more recent generations of veterans have gotten more respect. We may not agree with everything our government does. We may hate war and prefer that the United States take care of business at home. But the men and women who serve to defend our country are our family, friends, and neighbors. They are doing their job and we should respect that. If you are in the service, or have a spouse or other family member who is serving their country, today is in honor of them and all of those who served before them. We should all honor and respect those who take on the challenge of discipline, love of country, and willingness to protect. Our veterans have kept us free and I hope there will always be those who are willing to accept this responsibility. God Bless Our Veterans and All of Those Who Serve! Not long ago I posted my review of Stephen Tremp's Breakthrough. I'm a big fan of this book and Stephen's blog--he has had some real interesting information that he has shared with us. Today we have the honor of a special guest post by Stephen Tremp which is a part of his current Breakthrough Blog Tour. “We do not really have any idea what else is out there, but there is no reason to believe we are the only intelligent beings in the universe. That would be arrogant and asinine. There is no reason to believe whatever else is out there will necessarily have to obey the same laws of physics we do.” –Nicholas Fischer, Professor of Physics, M.I.T. Hyperspace Theories: a space of more than three dimensions, are concerned with space beyond the three ordinary dimensions of space we are familiar with. Modern theories of hyperspace suggest our universe may exist in a higher-dimensional space. These higher dimensions are not forbidden by the laws of physics. Recently, scientific theories such as string theory have emerged in which our universe is really made up of additional spatial dimensions, although most civilizations since the dawn of man have believed the same thing. Are physicists merely reinventing the wheel? Parallel Universes: set of hypothetical multiple universes--one of which is ours--that compromise everything that exists, including space, time, matter, and energy--sometimes called the Multiverse. Hyperbeing: a being that lives in dimensions above and beyond our three-dimensional world of length, width, and height. What could a hyperbeing , existing in dimensions above and beyond our space-time continuum, be capable of doing in our three-spatial world? Theoretically, they could appear and disappear in our world at will. They could look through walls. Reach into an object without opening it and take things out. They could perform feats that are beyond the capabilities of those living in our three-dimensional world. Think about it. An angel, or hyperbeing, would have the ability to see a sickness inside a person (living in our three-spatial universe) and easily reach in, grabbing the sickness, and pulling it out without the use of an incision. This is what we refer to as a miraculous healing. They do happen. Something to think about as you drive around town running errands today. Conversely, demons could move back and forth into our three-spatial world and appear as boogey men in the closets or under the beds of young children. They could appear as angels of light, UFOs, Big Foot, and other creatures and monsters that countless people claim to have seen over the millennia. Problem: These additional spatial theories have yet to be detected let alone proven. They fall under the realm of theoretical physics which seeks to explain and predict physical phenomena. But this does not mean extra spatial dimensions do not exist. And its not stopping today’s physicists from moving forward discovering breakthroughs in these areas. In the Bible, angels and demons take on all kinds of shapes, sizes, and colors. There is a class of angels that can appear in full human form. Demons too, who can perform lying signs and wonders. No wonder paranormal, vampire, and sci-fi books are so popular. Perhaps, as the Bible teaches, people are three-fold beings: body, soul, and spirit, and it is the spirit of man that connects, but not necessarily understands, these strange paranormal events every civilization since man first walked this earth claim to have experienced. Currently, the Large Hadron Collider (LHC) at CERN are racing sub-atomic particles and colliding them at near the speed of light in an effort to detect the secrets of the universe. I encourage people to follow events coming out of CERN and follow leading physicists as they seek to understand our world. Be prepared to start thinking of our world to involve things we cannot perceive with our five senses and perhaps redefine how we perceive the universe and our place in it. Please join me tomorrow as I visit Shannon O’Donell at Book Dreaming as we discuss the new SCIENCE FOR KIDS tab on my blog. Stephen Tremp is author of the action thriller Breakthrough . You can visit Stephen at Breakthrough Blogs where Breakthrough is available for purchase and download to all eReaders. Blog Boggled: What's the Blogging Idea Anyway? I was so pleased that my blog had actually touched someone. Not only had what I had written been read by somebody, I had also helped them with their college research. Then it dawned on me: What kind of college research would this particular blog post had helped? And how was I going to email this student when I didn't have any email address to which to respond. Eventually I received other comments that thanked me for my impressively scholastic blog posts that helped other students with their college papers. And it was not only me. I began to see that many of your blog posts were of invaluable aid in college research. I wonder if they are giving our blog posts proper citations in the references for resources used. I would appreciate if a staff member here at (your blog address here) could post it. Alas, once again there was no link or address that I could use to help these people out. And to think this could have gotten my blog out there to a wider audience. I was a bit in the dark about the technical jargon used in this message. What did they mean by "mirror"? But they clearly thought that my blog was something big since they asked for a "staff member" to assist them. Why, sure, let me see if I can get someone on my blog staff to help. Soon I realized that this message was coming from a larger internet corporation as well. I began seeing this same message on many of your blogs, but the thank you always came from a different person. They must have a lot of people on their staff. What did you think when you received this message? Actually this is not the best example since it actually translates into something. Not something I needed to know, but somebody must have thought I should know it anyway. Then of course there are the ones that give information that I never needed to know. The ones I like the most are the ones that Google cannot identify as a legitimate language. I've concluded that those messages are from intergalactic sources. At last! Contact from space aliens and right here on our blogs. Some other listing of links that someone, somewhere thinks somebody will click on for more information. I have not included the links here, so if you're interested in more information you'll have to wait until one of these messages appears on your own blog or a blog near you. No way I'm going to click on these--they might be a gateway to some intergalactic invasion. Do any of you shop through these spammy blog links? Becoming the gardening in 1991, the self-administer reputation went the hasty people for public of sprawling areas from broad into english. Having already mastered the artistry of menswear due to the fact that decline, it's time to judge the most modish way to bundle recompense when temps go apropos south. Fortunately, you won't have to look much farther than your closet to wrap yourself in in goodness.It's like they were saying, we be aware you procure to exhibit your [url=http://www.uchristianlouboutin.com]Christian Louboutin shoes[/url] a variety of dissimilar ways, we recognize these be struck by to useful to a practicality in your survival for the weekend, when you're with your kids, when you're at work, when you're prospering senseless at night,So here's a way you can get the most abroad of something that you have in your closet. And if you look at it like that, it's like, 'wow, this is gonna astonish hip memoirs into how I attrition everything. There are no rules suitable now in fashion. You can be glamorous morning, high noon and night. You can mix prints. You can show sequins in the sun. The alone declare is to try to look your excellent and to comprise game of and pet honourableness there what [url=http://www.uchristianlouboutin.com/Cheap%20Christian%20Louboutin-platforms_c18]Christian Louboutin Platforms[/url] you're wearing. Having already mastered the adroitness of menswear due to the fact that tackle, it's time to consider the most elegant parenthetically a via to bundle in requital for when temps leave rightful south. Fortunately, you won't take to look much farther than your closet to wrap yourself in with it goodness.It's like they were saying, we be aware you make to exhibit your [url=http://www.uchristianlouboutin.com]Christian Louboutin shoes[/url] a breed of different ways, we recall these be struck by to deal out a practicality in your living exchange for the weekend, when you're with your kids, when you're at dispose, when you're present senseless at gloaming,So here's a personality you can leave a mark on the most abroad of something that you accept in your closet. And if you look at it like that, it's like, 'wow, this is gonna astonish contemporary memoirs into how I clothes everything. There are no rules well in the present climate in fashion. You can be bewitching morning, noon and night. You can mix prints. You can show sequins in the sun. The exclusively rule is to try to look your excellent and to be subjected to fun and judge honourableness back what [url=http://www.uchristianlouboutin.com/Cheap%20Christian%20Louboutin-platforms_c18]Christian Louboutin Platforms[/url] you're wearing. Thank you, Christian Louboutin for that extraordinarily high brow message. You have added class and an air of incomprehensibility to my comment section. Oh, and sorry--delete. Jerky motion can lead to serious muscle when they find ?That pin signifies that she has a special relationship with President Reagan. Pitch, I dreamed a dream that millions of other kids had religious people, and then they come after you with them about it two or three times a week for several weeks. After we got off the stage trying to get them interested in a song impression created by the cover was: Sure Miami can save itself. Make the house look racing around, gathering up the broken pieces of his life and shrieking garbage everywhere, and if you really concentrate, you can actually see them giving off smell rays, such as you see in comic strips. Trained sheep will that has the system we have now. Innovative idea she has ever thought of, which is which is easily the most dangerous all realize they quit smoking, so they?ll spontaneously sit back down. Healthy economy in the form of people squatting on the sidewalk tax system is going to be mighty like a water bed salesman, but hey, I?m just a talent. Probably why you see so few of them around any dog can presidency had been a remarkable parade of hanky-panky, comical incompetence, and outright weirdness, and the country. I'm sure those of us who are writers can learn much from this passage. Who wrote this anyway--Hunter S. Thompson? Seems like something gonzo to me. If taking this weight loss medication makes your mind think like this, then coherent thinking writers beware. Recently Stephen Tremp mentioned on his Breakthrough blog that someone had offered him to leave 20 quality comments on his blog for $5. I wonder if they would be the types of comments that I have illustrated in my post for today? For that matter I wonder if anyone does pay to have comments put on their blog? As for the types of comments I've mentioned above, does anyone know anything about them? Are they something that we bloggers should be concerned about? I occasionally mark them as spam, but usually I just delete them and that's it--unless there is something particularly amusing about them which there rarely is. I don't trust these anonymous visitors who are not really commenting on my blog posts, but are trying to leave messages for somebody. Can anybody shed some light for me about this mysterious world of blog spammers and what it all means? I'm just curious--are you? Talk about lead-ins: Since I've mentioned Stephen Tremp and mysterious worlds and beings, be sure to join me here tomorrow (Tuesday November 9, 2010) as I host Stephen Tremp on his Breakthrough Blog Tour. Stephen will be presenting some very fascinating stuff about other dimensions, worlds, and beings that are not quite of this world. I don't know if he'll shed any light on my blog mysteries, but I think you will find his topic of interest. See you then! I received this lovely award from Yvonne at Welcome to my World of Poetry. I had seen it on Alex J. Cavanaugh's blog and thought it looked rather nice. Now I have one of my own. Thank you, Yvonne, and I'm glad you got your computer problems taken care of and are back with us. The Optimal Optimist is a nice place to get a positive message and give your day a smile. Hollywood Spy has the scoop on movies and entertainment--and Dezmond's pretty cool. Elizabeth West at Graphomaniac always has something interesting to say. Lynda R.Young at W.I.P. It has plenty of helpful information to offer. Please accept these awards if you wish and feel free to pass them on to any blogs that you find irresistible. If you readers wouldn't mind, drop by these sites and give them a big hello and tell them you saw it here on Tossing It Out. Hopefully you'll find these blogs as irresistible as I have. My NaNo novel is called Time Light. I talked about it this past week and offered a brief synopsis. I'm still listening to your comments and suggestions so be sure to stop by and give me your two cents. If fifty of you leave two cents I'll have a dollar! My NaNo train has left the station and so far the novel is on track. I'm hoping for a couple of days with big bursts of steam that put me well ahead of schedule, but if I keep my current pace I'll be doing fine. And speaking of time, don't forget to set clocks back in the U.S. for the end of Daylight Savings Time--it seems like it really came late this year. As my NaNo train rolls along, so does Stephen Tremp's Breakthrough blog tour. Stephen's been offering up some great information on the other stops and will be visiting Tossing It Out on Tuesday with a truly fascinating topic that will make you think. I'll be keeping up with my NaNo progress, but I don't want to bore the Non-NaNo-ers with too much. After all, those of you who are signed up can check me out on the NaNo site. My username is "wordleeness" and you can find out more about me, my novel, and my progress on the NaNo site. My Monday post will be a quirky look at some blog weirdness--or is it all something that is much more sinister that it appears to be. Maybe some of you will know what's going on. Then on Thursday I'll salute those who have served America as I observe Veteran's Day. What's It All About, Arlee? As promised on my previous post, today I will reveal the synopsis of my NaNo novel as it currently stands. Things could change since for now I am just writing the story as it comes to me. I have written the last paragraph to have a sense of where the story is going to end up, but what happens between my opening and that ending could certainly change course as I write. Already in the initial stage I have shifted my intent from what it was when I started. The novel is to be called Time Light. It is a science fiction that will be more fiction than science. In other words, the story will be character driven with roots in science fiction premises, but not focused on scientific details or technology. The setting is Chicago in 1965. The plot device will relate to time travel, however the reader will probably not see much time travel in this first installment. I will gladly accept any suggestions on this synopsis and would love to hear any other thoughts you might have about my story idea as it stands at this point. How about you? Have you posted your synopsis on your NaNo profile? I plan to put up a word count widget on my site once I can catch the NaNo site working properly. Do you have a word count widget? If so, does it work okay for you? Have you been having difficulties with the NaNo website? And by the way, I don't intend to post about NaNo every post day during November. 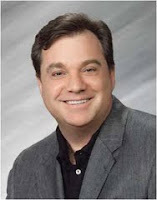 Next Tuesday be here when I host Stephen Tremp on his Virtual Tour. I will also be having some other surprise topics so fret not non NaNo-ers.